Chair, Business for Education Success & Transformation (BEST NC) & former CEO for NC and VA, Wachovia Corp. In 2017, BELL established the Tiffany Cooper Gueye Educator of the Year award in honor of BELL’s former CEO. This award recognizes a BELL educator who best exemplifies BELL’s core values of Excellence, Learning, Respect, Courage and Collaboration. Each morning, Perry greeted all scholars at the door with a smile. 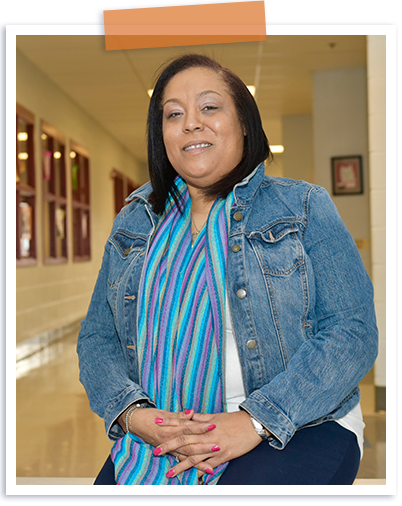 Throughout the school year, in her roles as a special education teacher, and as co-chair of the Elementary Councils on Teaching and Learning for Montgomery County Public Schools, Perry is a relentless advocate for expanded education for all children. “The experiences I gained as a BELL leader are invaluable. I have used many of the tools, resources and skills from the BELL program to become a better teacher and leader in my school and community,” she says. John Holt, Director of Program Implementation, commended Perry’s ability to develop strong connections between BELL and educational and community leaders in Montgomery County to ensure continued support for the program.